When you ask people around the NBA what the best game was in the year 2018, most would be hard pressed not to say that it wasn’t game five of the Rockets - Warriors Western Conference Finals. It was a a pretty insane momentum shift in the series. The momentum shifted away from, a team that played this beautiful brand of basketball with constant movement and flow that set screens and had been to three straight finals, to the Rockets, who were just playing out of their minds iso basketball ,in a pivotal game five. The Rockets had just taken a 3-2 series lead and even with Chris Paul going down with a hamstring pull in the final moments of the game, you felt a chasm around the league. It was a this isn’t supposed to happen moment. And I had this feeling inside of me, where do I go for more info about this game and the state of the series? 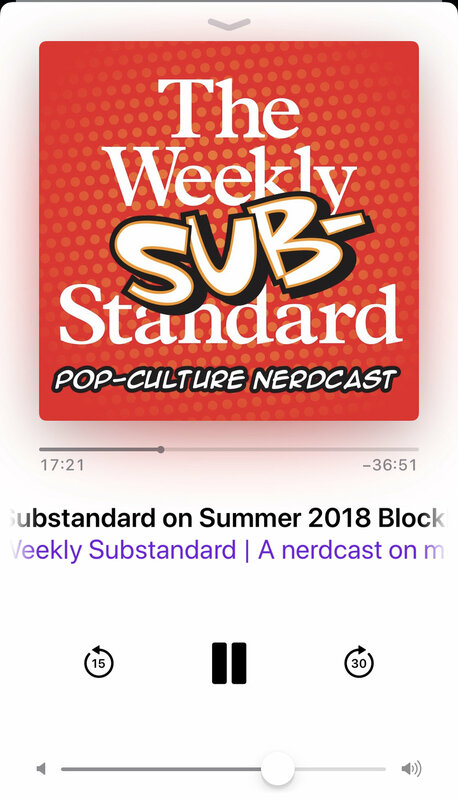 Back to back pod. Tom, Tray, Amin, and Woz. To start the pod, Tom Haberstroh and Black Tray broke the game down. Tom lobbed stats about the game and Tray broke them down in Lehman terms. One of his stats, Haberstroh’s signature, Big Number, was that the Warriors had averaged 29 assists per game during the season and throughout the playoffs and in game five of the western conference finals they only dished out 18. They talked about the disjointed basketball the gritty Rockets were forcing them to play and how it turned the dubs into an iso basketball team. Amin had the joke of the night when he said how funny it would be that the Warriors who had seduced Kevin Durant to Oakland by playing this beautiful game of basketball with flow and movement off the ball and passing would lose him in the offseason to the Rockets. Amin pretended to sound like KD and said, “hmmmm... iso basketball, maybe I should go play for the Rockets.” Astute jokes in perfect moments had me rolling. More jokes came throughout the entire pod and it was a refreshing joy to hear these guys, my friends talk about the biggest game of the year. This was undoubtedly a must listen to before the start of the season. In this episode Victorino Matus leads Jonathan V. Last, the on-again-off-again twitter presence, and Sonny Bunch, the highly decorated film critic, through a round-robin pick ‘em, of sorts, to nominate their most anticipated movies of the Blockbuster season. Most Memorable Moment: In the latter half of the pod, Jonathan delivers the five things that make a great blockbuster slate: 1) a sequel or two that make you insanely excited for that second helping. They leave a movie out there that’s just dangling with limitless potential 2) movies with huge starring roles that you have always wanted to see the star play in 3) some big idea or special effects movie with a promise that “you’ve never seen this before!” 4) you need to have surprise hits that comes out that no one was expecting .. AND are actually good 5) 1 or 2 movies that turn out to be classics. J. V. stipulates that 1997 met all the criteria. 1) Lost World - Batman and Robin- Speed 2- all were heavily anticipated even though they didn’t deliver 2) Air Force One and Conspiracy Theory had starring actors in incredible roles. 3) Volcano, Contact, Face Off all had big ideas and amazing special effects 4) Austin Powers and My Best Friend’s Wedding were both unexpectedly popular. 5) The Fifth Element and LA Confidential... classics. And while the Substandard was recently killed, the show has continued as the Sub-Beacon, and people can find it here. Would you rather be a good parent or have a good parent? Would you rather live without the internet for the rest of your life or lose your arm? Every year, Slate’s Political Gabfest hosts a Conundrum show where they ask questions such as the ones above. These are questions that are well thought out and it’s evident in their answers that they have spent copious amounts of time deciding on how to best answer them. Honestly, I have much praise for the people in this pod as they navigate through such wicked conundrums and answer without fear of finding themselves in devilish paradoxes. The studious John Dickerson is always quick witted and proffering a wealth of knowledge and true wisdom. Emily Bazelone is a New York Times Magazine editor and an angel on my shoulder that leads me down the truly moral path of righteousness. Lastly, my spirit animal, David Plotz, in his Plotzian ways of always leading me onward through a thick musty fog, methodically, towards enlightenment. The end of the year time is one of my favorite times for the Peltoncast because it means it’s time for two of my favorite Seattle sports scene gurus to talk about music by discussing these four hard hittin’ questions about the state of the music industry. 1) Is rock-n-roll still a main stream genre? 2) What is the state of music festivals in 2018? 3) What is the most important music company in 2018? And finally, 4) what are the ten best songs of 2018? In one of the most introspective melancholy podcasts of the year had to be this three part trilogy. The first part of the trilogy sets the scene with Sonoran Desert archeologist Jason Deleon as he’s working on the Undocumented Migration Project. Death tolls in this from migration has risen from five to ten a year to in the hundreds since the mid 90’s and it’s his job to make details of the scene and gather information about his findings in the desert environment. The rest of the section covers Torrilla Curtain/ Bowie high school in El Paso, Texasand how the teenagers at the school were mistreated by border patrol and so they fought back by using the letter of the law and evoking their fifth amendments rights. Hold the Line, the second part in this trilogy, possibly the most disturbing part starts out chronicling the life of Sylvester Reyes. Agricultural farm hand turned border patrol agent turned director of border patrol in El Paso, Texas. It’s in Hold the Line that we see Operation Blockade in 1994 and prevention through rise of prevention through deterrence. The idea was- we know the border cuts across a whole bunch of different environments. If we could disrupt traditional crossing places in El Paso, and other urban ports of entry and we push people towards extreme environments- then they will cross rushing rivers, mountainous terrain, areas where they could freeze to death or die of dehydration- these environments will slow people’s movements down and make them easier to catch if they don’t die and perhaps stop them from coming. Knowing this, the US government is knowingly putting people in harms way and they know with a high likelihood people are dying and they have nature doing their dirty work. “Days and days of walking - drunk from having their brains baked in their head- seeing God’s and Devil’s- days of walking- running out of food- fizzy from drinking their own piss- dying of thirst.” It’s so haunting the lengths people will go through to get here.